AGIS is a largely Canberra-based professional services company that supports Federal Government customers throughout the capability lifecycle with capital equipment and ICT projects. 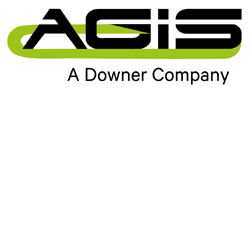 While AGIS is now proud to be a subsidiary of Downer Group having been acquired in July 2016, it was incepted in early 2008, and has since ground steadily each year in size, service offering and reputation. Through a range of government panels and commercial frameworks, AGIS provides individual professional service providers within a client environment operating on a time and materials basis, through to large, interdisciplinary teams delivering fixed price outcomes. AGIS provides a range of services to assist clients with all facets of their capability programs, from initial concept definition, through to acquisition, introduction into service and ongoing operation. Our highly qualified teams possess a broad range of skills, including: project/program management; systems/technical engineering; materiel logistics; business and commercial support; and enterprise/systems architecture. AGIS has demonstrated experience supporting its clients to define future satellite communications needs and to manage the tendering and contracting activities to obtain terminals, interface stations and space segment. AGIS’s specialist satellite consultants have supported both the Australian and New Zealand Defence Forces with their military and commercial satellite communications programs. AGIS has established itself as a major contributor to Federal Government capability programs, particularly Defence. We have proven our ability to support projects throughout the entire capability lifecycle and deliver exceptional results against fixed-price outcomes, regardless of project size and complexity. AGIS takes great pride in its reputation for high quality work, and has a dedicated team to ensure services are provided as per our mature delivery processes.